All of my knitting projects, two of them are nearly completed. Usually I have up to four projects going at the same time, so it's unprecedented to have a mere two...I'm enjoying the focus of two projects right now. The shawl in the above photo is approaching the end. I'm on the last repeat of the horseshoe lace section. 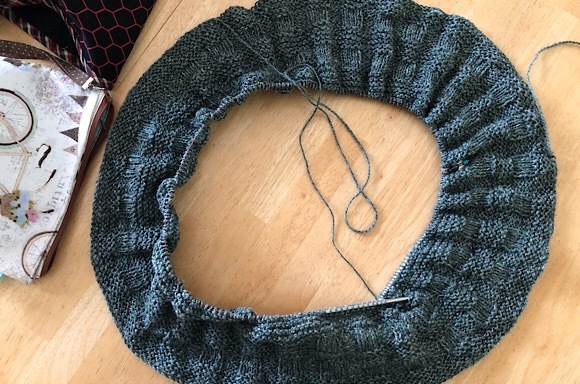 If I have enough yarn (simply by looking and guessing) I might change the edging and incorporate a ruffle edge, if not, well I'll just do the edging as per the instructions. My cowl should be finished by the weekend. I'm on the last repeat of the simple design. As of yet, I haven't had a chance to dive into my stash to start something new. I'd like to always have a shawl on the needles to boost up my gift pile for the holidays. I have my sister's sweater to cast on soon - I'm planning sometime in March, maybe or April. I'm working on the baby afghan I've been crocheting. I've accomplished a lot over the last week! Maybe a picture on the blog by week's end? Your shawl is absolutely beautiful, Karen. I love the way the colors are working in the pattern. I have been dying to try my hand at a cowl. But it seems that for this moment it's all about the good ol' beanie. I finished two for Tristan to take with him next month on his travels and of course then I had to knit up one for sweet Danika and now Garren is feeling a tad left out so I am knitting one up for him too. Could he not have waiting until closer to winter *chuckle*... I suppose now that they are done I could probably focus on a cowl for me? The photo at the bottom ..... I love that pattern and that yarn just shows it off perfectly. Me? I'm still slogging away on my Eagles socks and STILL reading Eat, Pray, Love. 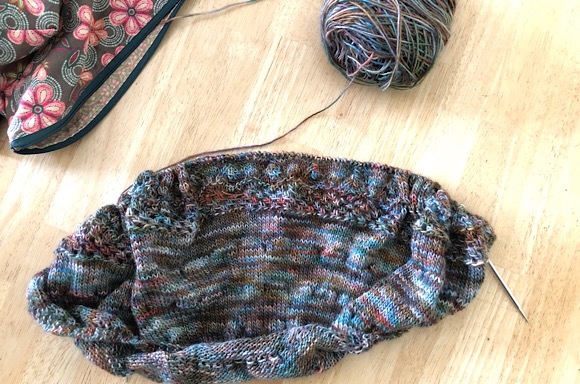 I love the colorway of your shawl yarn and look forward to see the full beauty when it's off the needles. I'm working monogamously on my gradient hitchhiker, probably sitting outside in the weirdly warm 72 degree weather today! Both projects are gorgeous! Love your yarn choices. I'm on Sleeve #2 of Sigla, trying to fix a misbehaving mitt and (still) reading The Woman Who Smashed Codes. I am nearing the ned of a shawl and hope to get to a wrap I want to convert to a poncho. Hopefully by the end of March I will have two new items to wear for a few days before warmth returns? I love the dark, moody colors in your Kindness shawl. Can't wait to see it finished and blocked. mmmm you have just given me permission to work on more than one project at a time.... I've been knit, knit knit on a scarf for hubby and its getting a tad boooring. I also like to have a variety of projects OTN. I have a couple pairs of socks this week; a sweater for my daughter; and I just might cast on a cowl. I love the shawl, the yarn is stunning. I let Gerard know you sent him good wishes from a fellow sufferer. He thanks you and wants you to know that he has had a steroid injection and is feeling so much better. The shawl looks lovely, that is one I have on my maybe list to make. 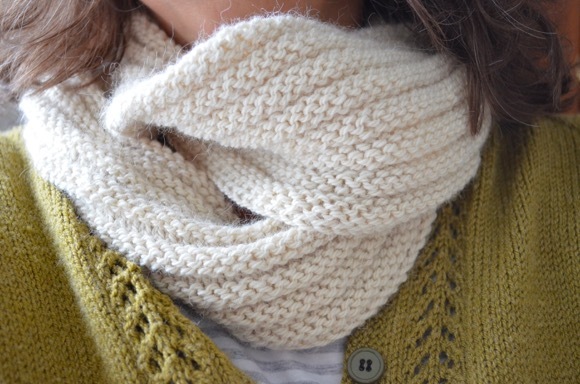 Such lovely knitting in these photos. 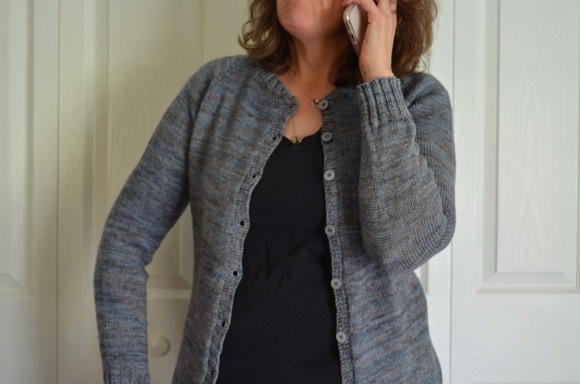 I am working away at my pullover sweater - trying to decide about the last color on the sleeves and a pair of socks for gifting next Christmas. I just pulled out a skein of bright red yarn as I need some color for the end of February. Maybe I will cast on a shawl or maybe it will wait - undecided.